Greenville Cosmetic Dentistry - Dr. William W. Brown, Jr.
Well, with cosmetic dentistry, it can go from something as simple as whitening, bleaching your teeth, to porcelain veneers, porcelain crowns. Bonding, a lot of people hear the word bonding, bonding is just taking tooth colored filling material that we use on front teeth or back teeth and you can reshape teeth to make the shapes better, fill in spaces, change the color. All the different options on cosmetic dentistry, they vary on cost, they vary on how long they work, how aesthetic they are, I mean bonding is a nice option to fill in spaces and reshape; not as long lasting as porcelain veneers but you’re spending less money so lots of variables with those. Are you unhappy about your teeth? Do you wish you had somebody else’s smile? Many people have healthy mouths but want to improve their smile’s appearance. You may have crooked, uneven, gapped, or discolored teeth. Maybe you have old, worn restorations. Whatever the problem, your Greenville, SC cosmetic dentist can transform your smile and restore your confidence with cosmetic dentistry. Dr. Brown offers dental bonding , porcelain veneers , tooth-colored restorations , teeth whitening , dental implants and full smile makeovers. Dental bonding is a procedure that corrects small teeth imperfections with tooth-colored resin. The tooth is cleaned and prepared, and the resin is shaped over the tooth’s surface. 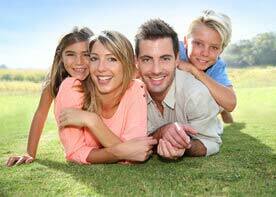 Bonding is quick, easy and affordable, and very effective when done by a skilled dentist. At Brown Dental Associates, we use high-quality bonding materials and a meticulous color-matching process to ensure healthy, natural-looking results. For major tooth imperfections like severe stains, large fractures and big gaps, porcelain veneers are recommended. Veneers are thin shells of porcelain that are bonded to the front of the tooth (like false fingernails for your teeth). Porcelain is more durable and stain-resistant than composite resin, and porcelain mimics natural enamel perfectly. Dr. Brown offers mercury-free, tooth-colored fillings as better-looking alternatives to silver amalgam. Tooth-colored fillings are made of composite resin that bonds directly to the tooth enamel. Tooth-colored fillings are not only invisible; they also make the tooth stronger. Professional teeth whitening is one of the best and easiest ways to transform your smile. Dr. Brown will apply peroxide gel to your teeth and leave it on for a few minutes. The whitening gel is then rinsed out. You can continue the whitening process at home by wearing special trays while you sleep. Transform your smile and your life today! Call 864-408-8873 or click here to reqeust an appointment with your cosmetic dentist in Greenville.